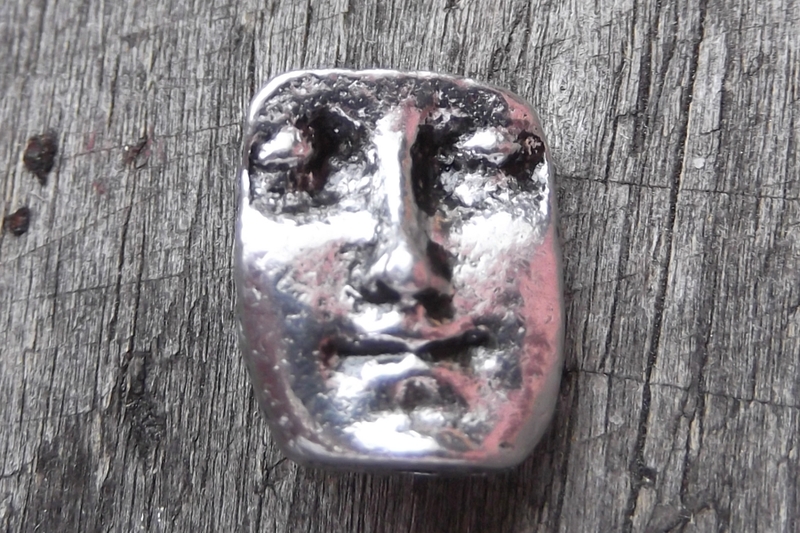 Suggestive of an ancient Greek goddess or an artifact of a statue of a fabled woman, our small modern pewter face bead, when combined with a few other beads, can be fashioned into a tiny beaded art doll. Equally useful for a treasure necklace, it can easily be turned from bead to charm with a simple headpin or eyepin. The 1.2mm stringing hole goes from top to bottom. 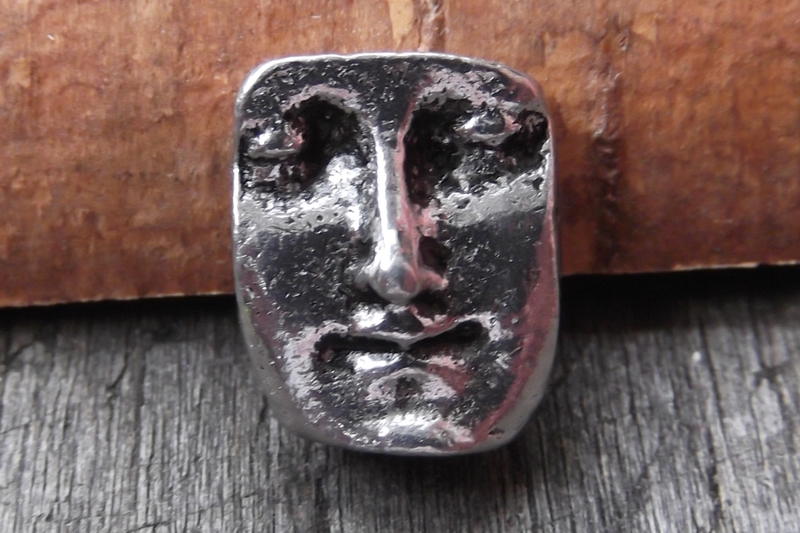 This reversible bead measures 11mm wide by 13mm high (7/16 inch by 1/2 inch high).